She lived well past 100—some say 105, others say 113. She claimed to have entered the Alamo to nurse the ailing James Bowie whose family accounts say he was suffering the fevers of typhoid. She even wore a scar on her chin acquired from the thrust of a Mexican bayonet as she threw herself across Bowie, pleading that a sick man should not be killed. Despite a lack of records to prove her account, most historians believe that Andrea Castañón Villanueva (Madam Candelaria) was actually there during the battle. She grew up in Laredo, and arrived in San Antonio about 1810 where she married Candelario Villanueva. Over the years she was known to have raised four of her own children and twenty-orphans. She nursed the sick, which added merit to her story of nursing Bowie, and she gave to the poor. In an account titled “Alamo Massacre” in the San Antonio Light, February 19, 1899, Madam Candelaria said that she and her husband were innkeepers in San Antonio where residents came after a big street celebration welcoming David Crockett to continue with a supper, singing, story-telling and drinking. Madam Candelaria’s descendants claim there is evidence that fandangos, known for good music and dancing, were held at the inn and that Madam Candelaria cooked for the occasions. Over the years after the fall of the Alamo, Madam Candelaria shared her account with all who came to hear, saying that although they all knew that they were doomed, they continued to hold the bare hope that General Sam Houston would send reinforcement. She described sand bags piled against the great front door and the constant thunder of the cannons during the thirteen-day siege. She said the morning of March 6 they heard the degüello (the bugle call signifying no quarter) and they knew what was in store for them. William Travis was the first to die where he stood along the southeast wall near the present location of the Menger Hotel. Crockett had come frequently to the bed of the ailing Bowie to keep him informed, and finally he loaded Bowie’s rifle and laid a pair of pistols by his side. Madam Candelaria heard Crockett say, “Boys, aim well,” just before the earth shook with the fierce yelling and the storm of bullets raining down. Crockett fell while trying to reload. Bowie emptied his pistols into the group of Mexicans who stormed into his room, and despite Madam Candelaria’s pleas for his life, she said Bowie “was butchered” before her eyes. When the massacre had ended and she stepped on the floor of the Alamo, blood ran into her shoes. Thanks to the stories that Elizabeth Owens told her daughters, we know about life in Victoria, headquarters for the De León Colony, during some of its most turbulent times. Elizabeth McAnulty was two years old when her mother and stepfather, Margaret and James Quinn, moved the family from New Jersey to Texas in 1829 as part of McMullen-McGloin Irish Colony. 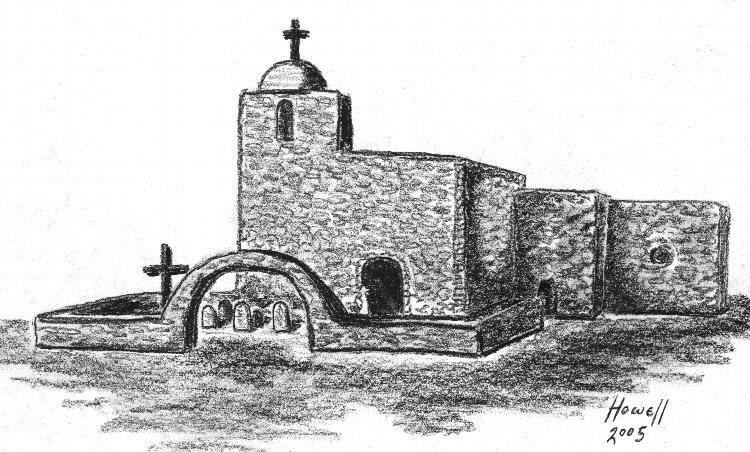 While the group of fifty-three families camped on Copano Bay near present Rockport, Elizabeth’s baby sister became the colonists’ first death, perhaps from cholera that spread through the settlers and followed them as they moved inland to the old Spanish Mission Nuestra Señora del Refugio. 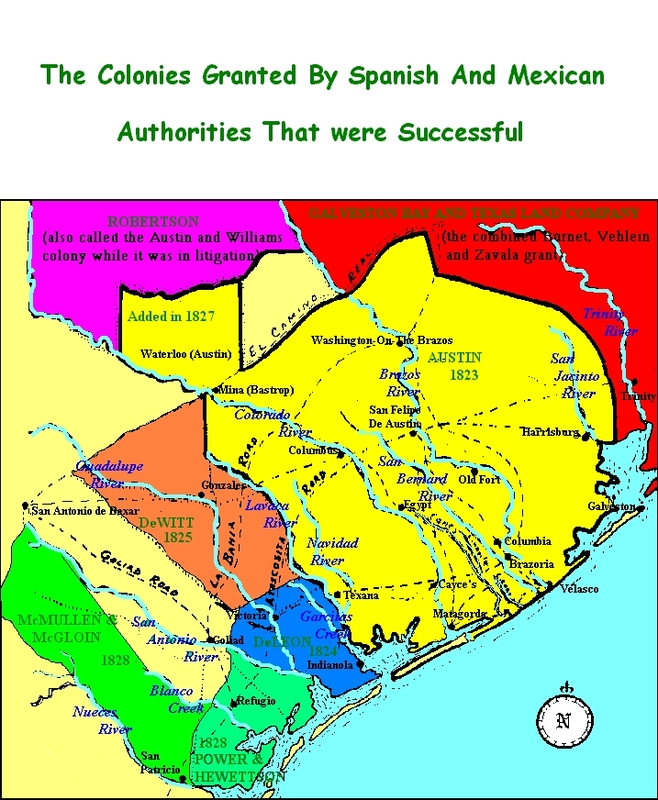 After a year, most of the families moved to the colony land at San Patricio on the Nueces River, but Elizabeth’s family remained and began farming near Refugio. It was the custom for Elizabeth and her brother Thomas to take lunch to her stepfather who was working in the field. Elizabeth recounted the story of a drunk Indian who caught Thomas and must have terrified the children by saying the sweetest morsel ever known was a white man’s heart. 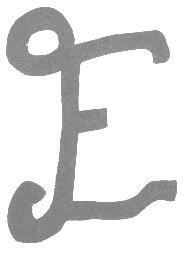 Elizabeth ran for help, and her stepfather used an ax to strike the Indian more than once before he released the boy. 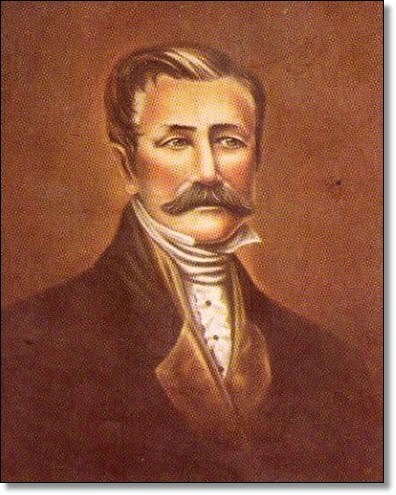 When Elizabeth was eight, James Quinn acquired a league of land (4,428 acres) in the De León Colony just outside Victoria. The following year, in February 1836 Elizabeth witnessed a Tancahua Indian Scalp Dance on Market Square in Victoria. The peaceful Tancahuas had been approached by the warlike Carancahuas (generally called Karankawas) asking for help with an attack on the aristocratic and refined Mexican family of Don Martín De León the empresario who had founded the colony. For some reason the Carancahuas especially hated the empresario’s wife. The Tancahuas met the Carancahuas and instead of joining the attack, they cut the Carancahua’s bow strings, killed thirteen members of the tribe, and took the scalps stuck atop their spears, to Mrs. De León as a gesture of their friendship. Mrs. De León expressed her gratitude with a huge feast for the Tancahua and that is when Elizabeth, a nine year old, witnessed the Scalp Dance. 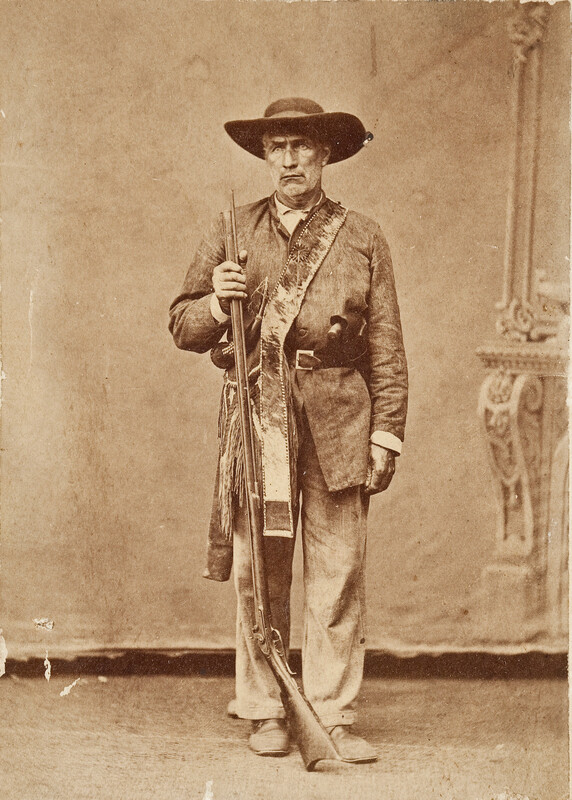 As war clouds for Texas independence built up, James Quinn joined a company that made the twenty-five-mile trip to La Bahía, to help defend the presidio from Mexican attack. Elizabeth went with her mother to a nearby home where the women molded bullets for their husbands. 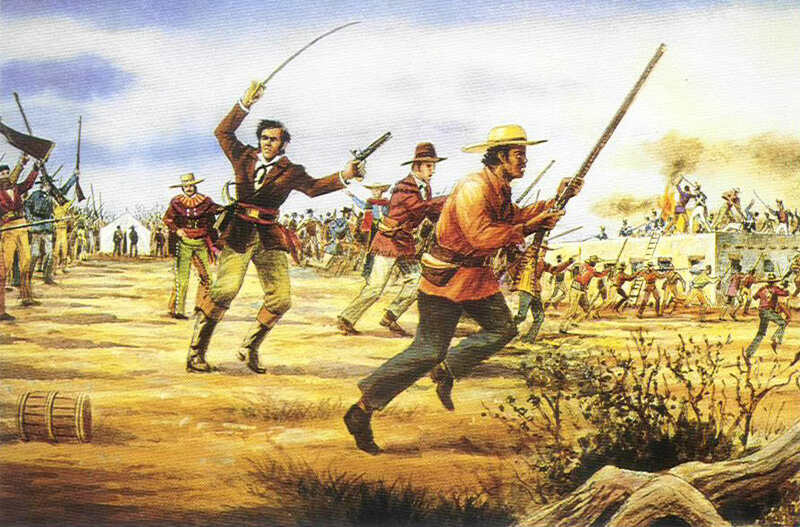 As the large Mexican Army approached Goliad, the settlement around Presidio La Bahía, James Quinn and other men returned to Victoria to move their families to safety. 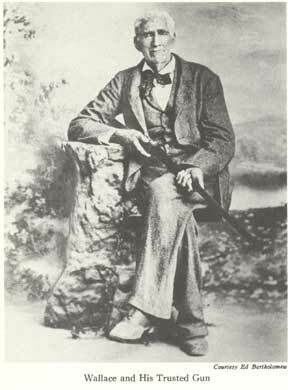 James Quinn discovered his oxen had roamed away in his absence, leaving only the Quinns and two other families who supported independence. Elizabeth said that during the battle between James Fannin’s troops down on Coleto Creek (fifteen miles away) and General Urrea’s Army, they could hear the sound of the cannons. A man arrived on horseback with a message for Colonel Fannin. When he heard the cannon fire, he stayed with the Quinns. While he told the family his story, Elizabeth sat on the hearth holding a candle in the chimney so the light could not be seen. When a shot rang out, the messenger apparently thought they were under attack because he rushed out to his horse and rode quickly away in the darkness. He did not get far before he was discovered and shot. General Urrea’s army, having just accepted Fannin’s surrender, reached Victoria with great fanfare, parading through the streets to the sound of their bugles and drums. A Mexican officer took possession of the Quinn’s front room. Although their home was constructed of adobe and had only three rooms with dirt floors, it was one of the more comfortable houses for that time. The officer’s presence afforded protection for the family when a group of Mexican soldiers banged on the door with their muskets because when the Mexican officer’s wife opened the door, the startled Mexicans quickly withdrew. Elizabeth tells another story about Señora Alvarez, the woman known as “The Angle of Goliad,” who had saved several of the Texans before the massacre. It seems she was the wife of a Mexican colonel, and despite stories of his abandoning her when he heard that she had rescued some of the young Texans at Goliad, she arrived with her husband in Victoria. Seven men who had escaped the massacre rushed into Victoria, apparently unaware that it was occupied by Mexican troops. They attempted to enter the Quinn home, and when Elizabeth’s mother exclaimed that they would all be killed if the Texans were found there, the men ran back into the yard where Mexican soldiers killed three of them. The other four were imprisoned in one of the homes. Elizabeth’s mother bribed the guards to let her son Thomas take food each day to the prisoners. On a day when the boy encountered the new guard he was choked severely for delivering the food. Elizabeth said that when the four Texan prisoners were brought to the Market Square to the executed, Señora Alvarez threw herself in front of the Texans, spreading her huge skirts out before them and protesting that she would also be shot if they were killed. After Santa Anna surrendered, the four men were released. Despite Santa Anna’s surrender, a rumor spread that the Mexican Army had reorganized and was heading to Victoria. All residents were ordered to flee. The family loaded a small cart and began their journey northward with a Mr. Blanco and his son. They crossed a creek and the Lavaca River before they reached a ferry on the mile-wide, swift-running Navidad. When their turn came to board the ferry, it was too heavily loaded and tipped the family and all their possessions into the water. Elizabeth grabbed a partially submerge tree and clung for her life. Mr. Blanco’s son disappeared under the water, but Mr. Blanco spotted the white sunbonnet that Elizabeth was wearing and managed to pull her to safety. All the party was saved except for Mr. Blanco’s son. There were several more scares of Indian attacks or Mexican invasion as Mexico refused to accept that Texas has won its independence. Many times the women and children were moved to a block house that offered better protection; other times they crossed the Navidad River, even spending the entire winter of 1836-37 away from Victoria. Upon returning in 1837 to Victoria, the Quinns found their home reduced to ashes. Texan soldiers had spotted a herd of deer on a hillside, and thinking they were the Mexican Army, the Texans ordered all the houses burned except those that surrounded the town square. The houses on the square were saved for the soldiers’ use. The Quinns spent the winter in the church with other families who hung partitions for privacy. In 1840 Comanches who felt betrayed by whites in an incident at San Antonio’s Council House that resulted in the death of most of the Comanche leaders, swept down across Texas is what became known as the Great Comanche Raid. When they reached Victoria they killed several and terrorized the town before moving on down to the port of Linnville, which they completely destroyed. When Elizabeth was seventeen, she married Richard Owens, a New York native who arrived in time to serve in the Army of the Republic of Texas. Among other lucrative endeavors, he became a very successful building contractor, freighter, merchant, and mayor of Victoria. Elizabeth worked as a community leader while raising their twelve children. During the Civil War, Elizabeth and her daughters sewed the regimental flag for Col. Robert Garland’s Sixth Texas Infantry. Using material from Richard Owens’ mercantile store, their flag had a background of red Merino wool bordered in a white silk fringe, featuring a large blue shield with twelve white stars circling a larger star representing the Lone Star State. The regiments name showed in white silk letters. 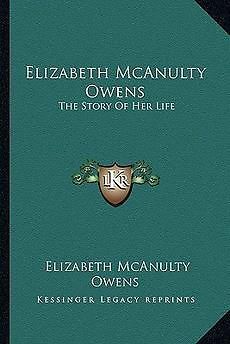 Elizabeth McAnulty Owens died in 1905, but she had shared the stories of her life adventures with her daughters, and they used their notes to write Elizabeth-McAnulty-Owens, The Story of her Life, which was published in 1936. Nothing tells the Texas story—the struggle for survival, the choices that bring personal tragedy, and the triumph of success—better than the life of Susanna Dickinson. She was only fifteen in 1829 when she eloped in Hardeman County, Tennessee, with the dashing U.S. Army artillerist, Almeron Dickinson, a man almost twice her age. Two years later they joined fifty-four other settlers on a schooner out of New Orleans that was headed for Texas. They received a league of land (4,428 acres) in DeWitt’s Colony near present Lockhart. In the next three years Almeron acquired ten more lots in and around Gonzales. Life appeared harmonious in those early years: Susanna may have taken in a boarder; Almeron plied his trade as a blacksmith and went into partnership in a hat factory; he joined a band of local settlers in hunting down marauding Indians; and their only child, Angelina Elizabeth, was born in December 1834. A year later, as turmoil swept across Texas, Gonzales residents in the “Come and Take It” episode, refused the demands of Mexican soldiers to give up their cannon. Within days, Almeron offered his experience with cannons as volunteers marched to capture the Mexican seat of government in San Antonio de Bexar. 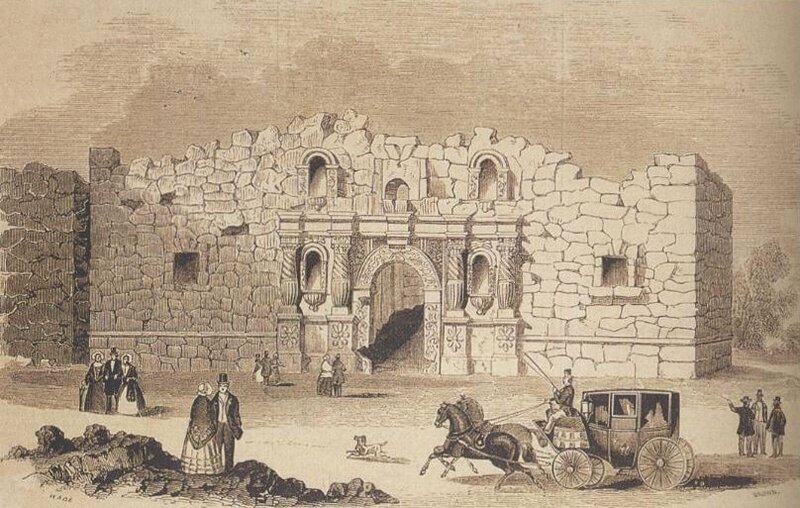 In early December, Texans drove the Mexican forces from San Antonio, occupied the city, and set up a fortress in the Alamo, a crumbling former mission. Susanna remained in Gonzales with year-old Angelina until a newly formed troop of Texans looted her house. She fled to San Antonio to join Almeron in late December. When the Mexican Army under General António López de Santa Anna arrived on February 23, 1836, legend says that Almeron swept Susanna and Angelina onto the back of his horse and raced with them to the protection of the Alamo fortress. When Mexican soldiers discovered Susanna and the other women and children, Col. Juan Almonte led them and the slaves to safety at the nearby home of Ramón Músquiz. The following day she and the other women and children were taken before General Santa Anna who gave each of them a blanket and two dollars in silver. He offered to take Angelina to Mexico City to be educated. When she refused to release the child, Santa Anna gave Susanna a letter that she was to deliver to General Sam Houston demanding immediate surrender. To ensure her safe passage, Santa Anna sent a servant of one of his officers to accompany her. 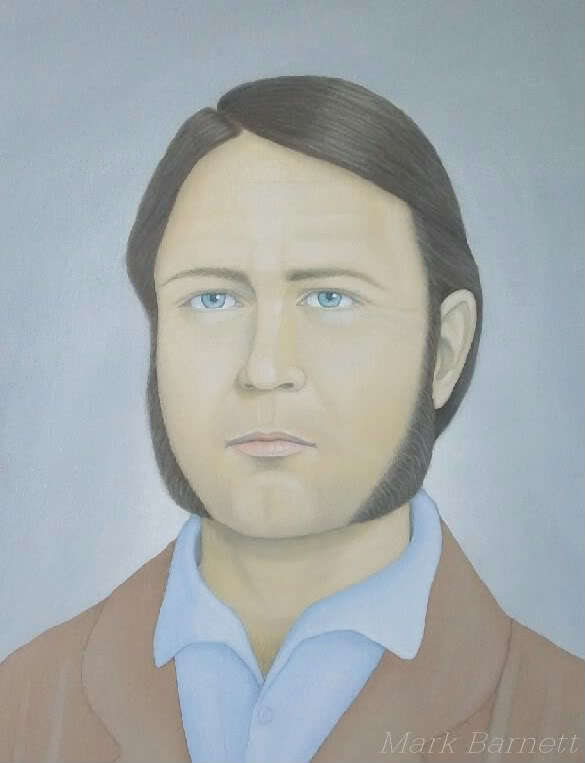 Joe, William Travis’ slave who had also been released, joined them as they made their way to Gonzales. 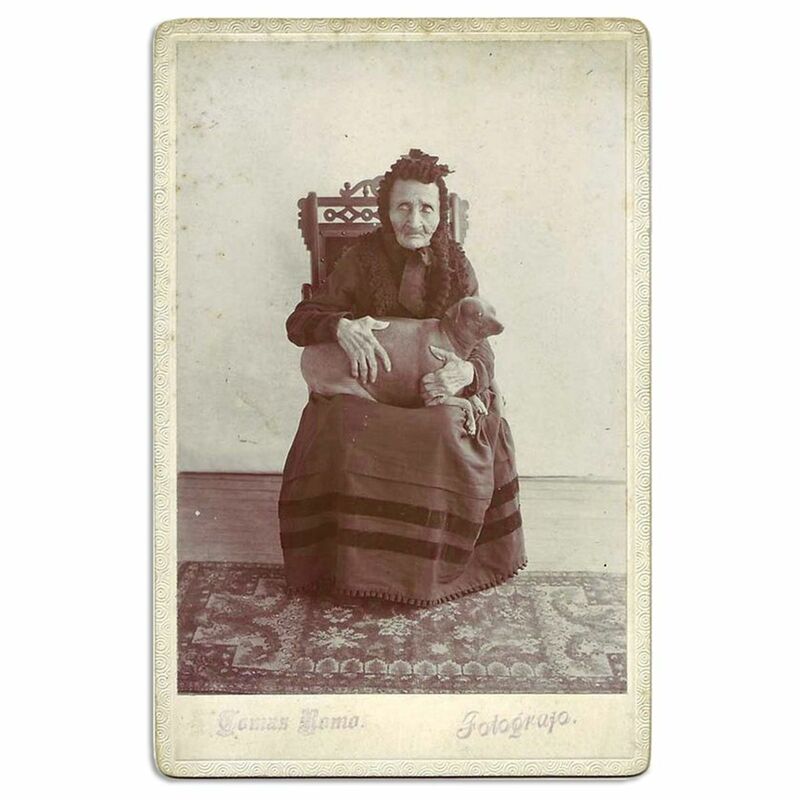 Susanna was illiterate and did not leave written records, but she continued throughout her life to share her experiences. She claimed to have seen the bodies of Davy Crockett and Jim Bowie. From the house to which she was taken after the fall of the Alamo, she could see the pyres of the dead being burned. For a period after the battle, all she could recall was that she wept for days. With no means of support and no family, Susanna petitioned the congress of the new republic for financial assistance. Her plea was denied, along with those of the other survivors. Before the end of 1837 she married John Williams. In less than a year his physical abuse prompted her to petition for and receive a divorce—the first granted in what became Harris County. 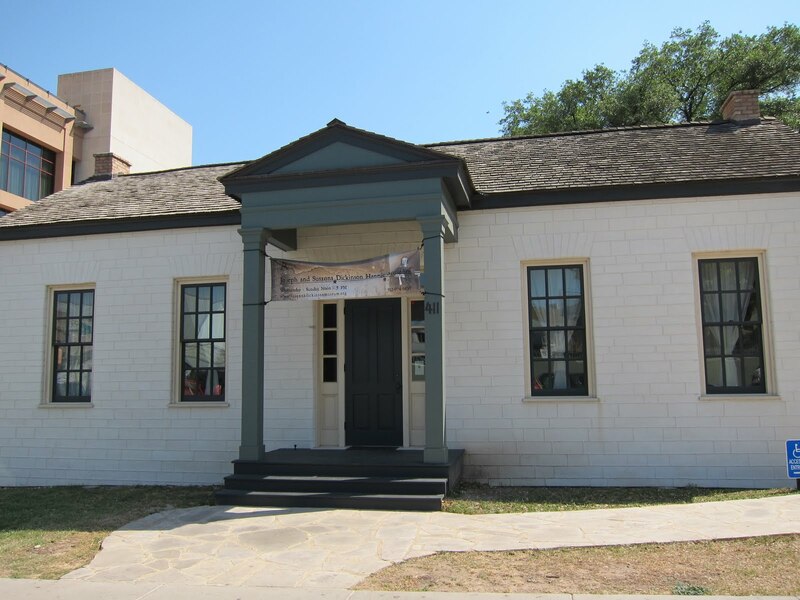 Near the time of her divorce, the Republic of Texas awarded a land bounty of 640 acres to survivors of the battle for Texas Independence, which allowed Susanna to support herself as a laundress and boarding house keeper. In later years she and Angelina were awarded another 1,920 acres as descendants of a member of the Texas Republican Army. In December 1838, she married Francis P. Herring, whom relatives claim died in 1843 from too much drink. Some accounts claim that Pamela Mann who ran Houston’s gaudy Mansion House, which was known as a wild and rowdy place, invited Susanna to live in her hotel, perhaps even working as a prostitute. Others insist that Susanna had proven housekeeping and cooking skills and would not have needed to resort to prostitution for her survival. She may have even operated her own boarding house before marrying husband number four, Peter Bellows, in 1847. When Bellows divorced Susanna, he charged her with abandonment and prostitution, apparently referring to her residency in the Mansion House before their marriage. Susanna did not appear in court to challenge the claim because she had already moved to Lockhart where she opened a very successful boarding house. 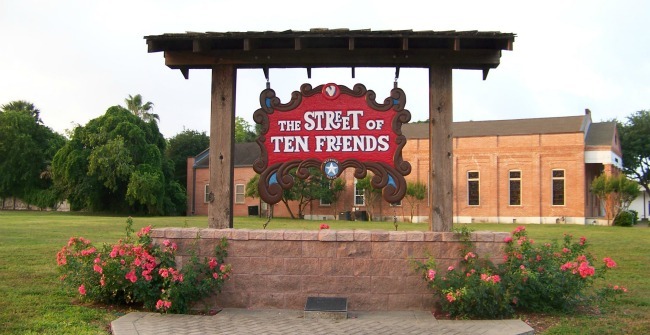 After moving to Lockhart, she met her fifth and final husband, Joseph W. Hannig, a German immigrant, blacksmith, and skilled furniture maker. Susanna sold her land in the old DeWitt Colony and used the proceeds to help Hannig become established in various businesses in Austin. He operated a fine furniture making business, an undertaking parlor, and a mill before expanding into a second business in San Antonio. Hannig built a home in 1869 for Susanna on Pine Street (present 5th Street) that is open as a museum today. After several years Hannig expanded his business interests into real estate and served as city alderman. They moved into a mansion in Hyde Park an area on the outskirts of Austin, and Susanna was able to employ several German servant girls with whom she became friends. 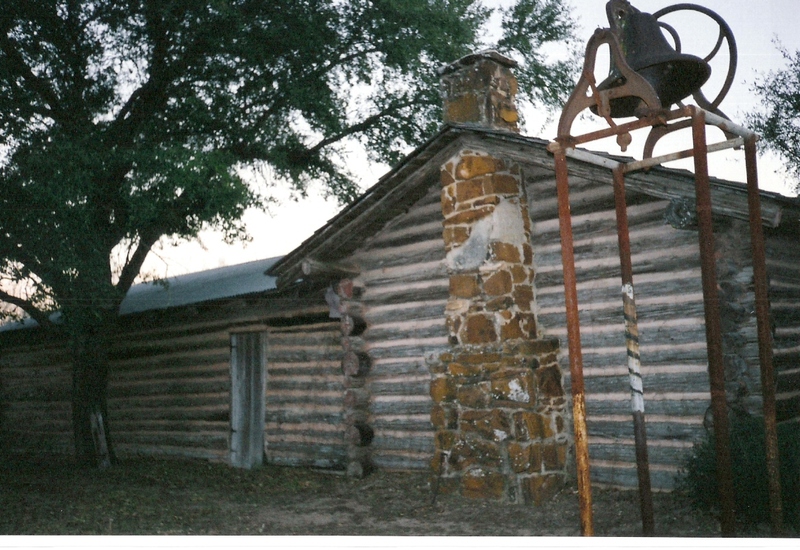 Hannig’s businesses allowed Susanna to be accepted into the social circles in Austin where she was constantly asked to recount her Alamo experience. Angelina died in 1869, and Susanna raised her four grandchildren, seeing that they were educated in Catholic schools and convents. 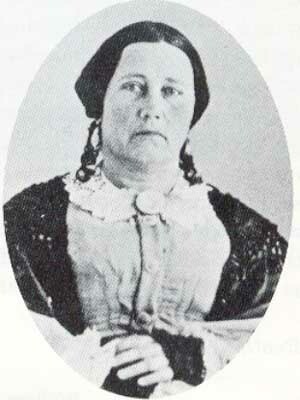 By the time of her death in 1883 Susanna Dickinson Hannig had become a wealthy and respected member of the Austin community.